United Airlines will add a further forty CRJ-200 operated under a Capacity Purchase Agreement (CPA) by Air Wisconsin in 2018 to boost the United Express feeder service, the carrier announced in the annual investor update on January 23, 2018. The increase is within the scope of a CPA the airlines signed last year, which covers a total of sixty-five CRJ200s. The new aircraft will bring the total number of CRJ-200s operated by capacity providers Air Wisconsin and SkyWest Airlines under the United Express brand to 125. 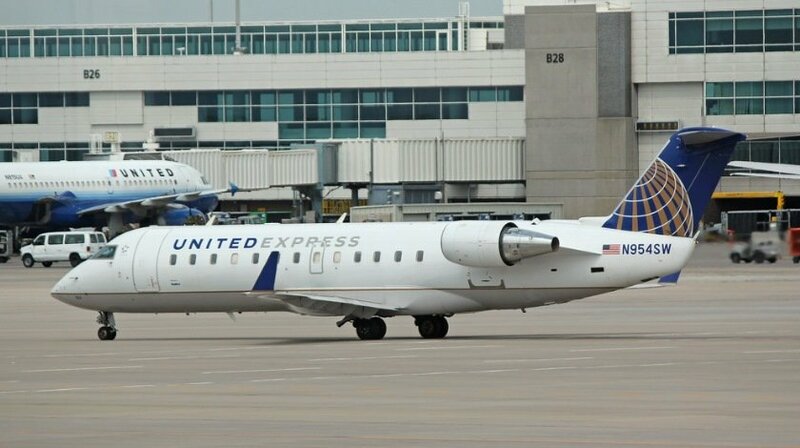 At the same time, United has already retired all seven remaining Dash 8-200s operated by CommutAir and will retire all three remaining ERJ-135s operated by ExpressJet Airlines. The Chicago O’Hare-based carrier is also looking to boost its mainline fleet with the first ten B737 MAX 9s due to arrive later in 2018. United also plans to add four B777-300(ER)s, seven B787s, and three ex-Hawaiian Airlines B767-300ERs this year. United also expressed tentative interest in the new Boeing Middle of the Market twinjet, which could arrive on the market in the next eight to ten years, Reuters has reported. Gerry Laderman, Senior Vice-President of Finance at United, expressed hope that the new jet can be “well defined” later in 2018, allowing the carrier to seriously consider the future replacement of its B757 and B767s.